South Korea’s special prosecutors have succeeded in a second attempt to secure the arrest of Samsung Group chief Jay Y. Lee, whose implicated in the high-profile bribery scandal that involves suspended President Park Geun-hye and her secret confidante. Seoul Central District Court decided to arrest the Samsung Group chief early on Friday after an almost day-long closed-door hearing. The prosecutors requested the arrest over Lee’s suspected role in the large-scale political corruption scandal that led to the impeachment of South Korea’s President Park Geun-hye. Lee was taken into custody at the Seoul Detention Centre. Its the second attempt to arrest the senior Samsung executive, after the same court rejected the previous arrest request last month. 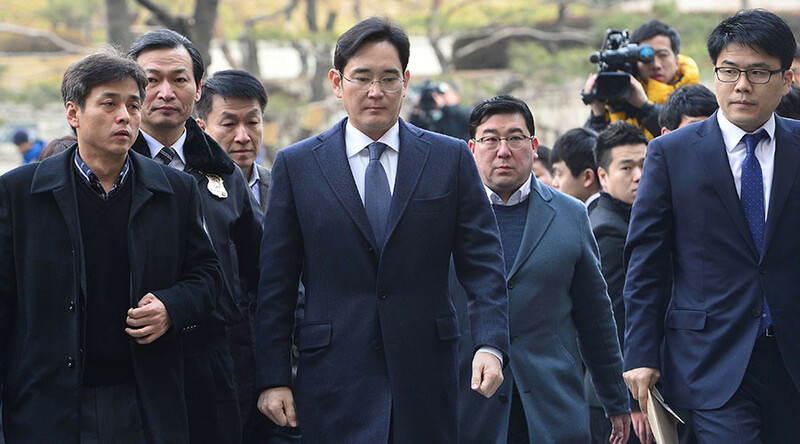 On Tuesday, the prosecutors had requested a warrant to arrest Lee and another top Samsung executive and head of the Korea Equestrian Federation Park Sang-jin over bribery and other charges, since new evidence had been gathered. “We acknowledge the cause and necessity of the arrest,” said the judge in the ruling, acknowledging the vitality of the new evidence. 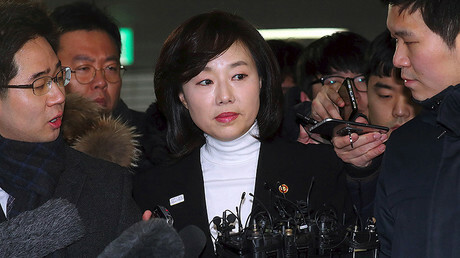 The court, however, declined the request to arrest Park Sang-jin, since his “position, the boundary of his authority and his actual role” did not require such measure. Lee is suspected of providing $37.31 million (43 billion won) to businesses and organizations backed by President Park’s secret confidante, Choi Soon-sil, in exchange for approval of a controversial $8 billion merger of two Samsung companies in 2015. Lee and other Samsung executives have denied the accusations. An old friend of the president, Choi, who held no official government position was allowed to edit the president’s speeches and could even arrange various state benefits for top corporations, according to investigators. President Park, who has been suspended from her duties due to impeachment proceedings last December, has denied any alleged wrongdoings but apologized for her relations with Choi. Park formally remains the President until the Constitutional Court decides whether to back the parliamentary decision.